The worlds most beloved tenor, Andrea Bocelli, has announced he will be returning to the UK for an Autumn 2019 tour, including a date at Birminghams Genting Arena (soon to be renamed Resorts World Arena). Bocelli is acclaimed worldwide as one of the most accomplished representatives of Italys finest vocal tradition. His rich and unique voice being one of the most distinctive of all time, he's performed for four US Presidents, two Popes and many Royal families across the world, as well as at high-profile ceremonies for the Olympic Games and the World Cup. 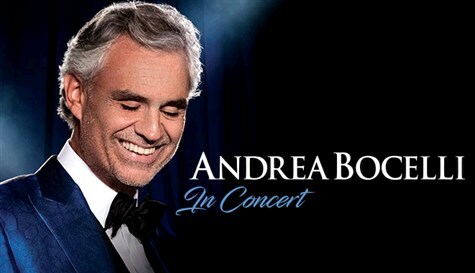 Andrea Bocelli, is an Italian classical tenor, recording artist and singer-songwriter. Born with poor eyesight, he became permanently blind at the age of 12 following a football accident. Bocelli has recorded fourteen solo studio albums, of both pop and classical music, three greatest hits albums, and nine complete operas, selling over 150 million records worldwide.